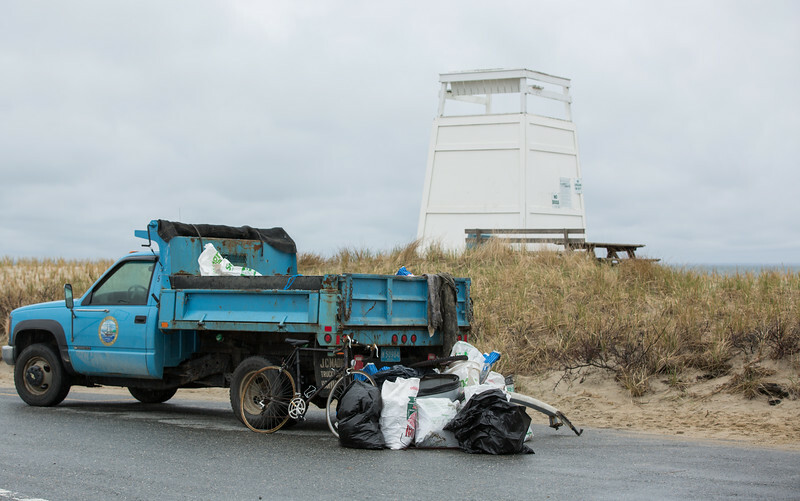 Beaches around the Island yielded many bags of trash at Saturday's cleanup. 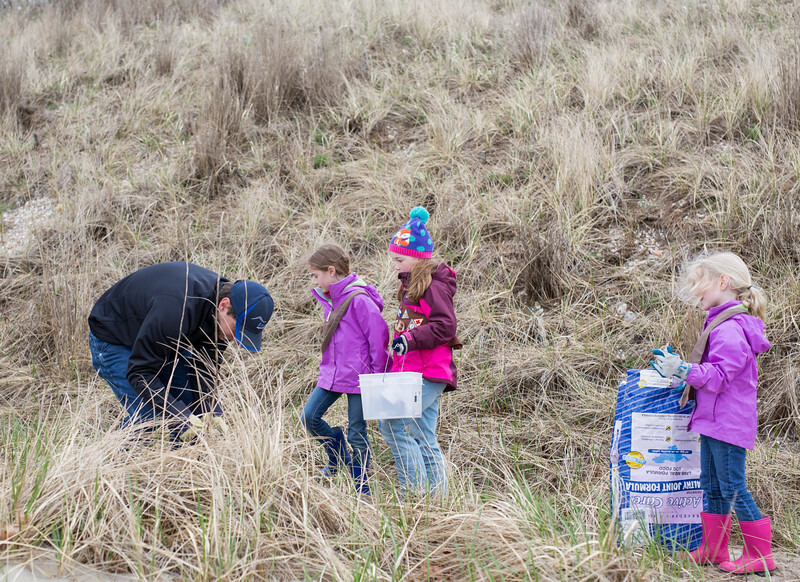 Islanders of all ages headed to the beach to pick up trash and celebrate Earth Day Saturday. 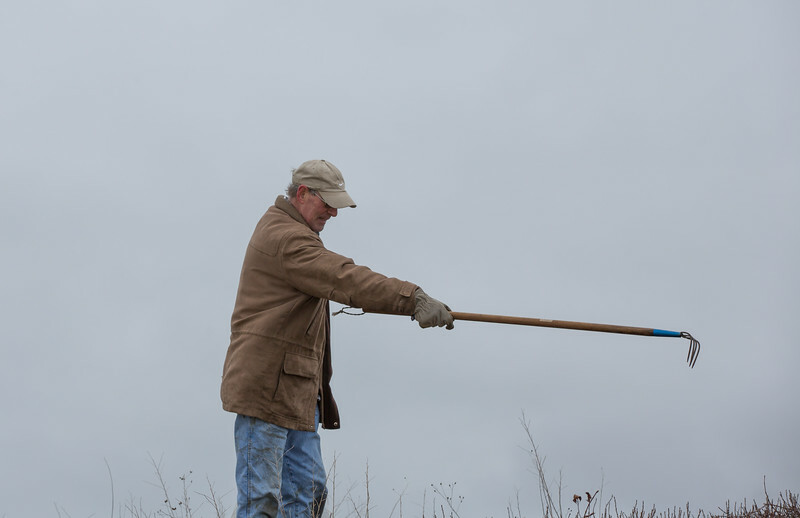 The annual beach cleanups on the Island are as old as Earth Day itself, but this was the 25th year that Vineyard Conservation Society has sponsored and organized the event. It was also the first time in years that the event has fallen on April 22. VCS members were stationed at more than 20 beaches around the Island on Saturday morning. At Owen Park in Vineyard Haven, Malcolm Boyd distributed paper feed bags from the back of a truck and chatted with visitors. Kids and parents made their way along the beach in both directions, filling their bags with all sorts of litter, including a large quantity of cigarette butts and nip bottles. This was where the Island’s inaugural beach clean-up began in 1970, with Bob Woodruff and a group of high school students combing the roadsides between Vineyard Haven and Edgartown in celebration of the first Earth Day. VCS has sponsored the events every year since 1992. 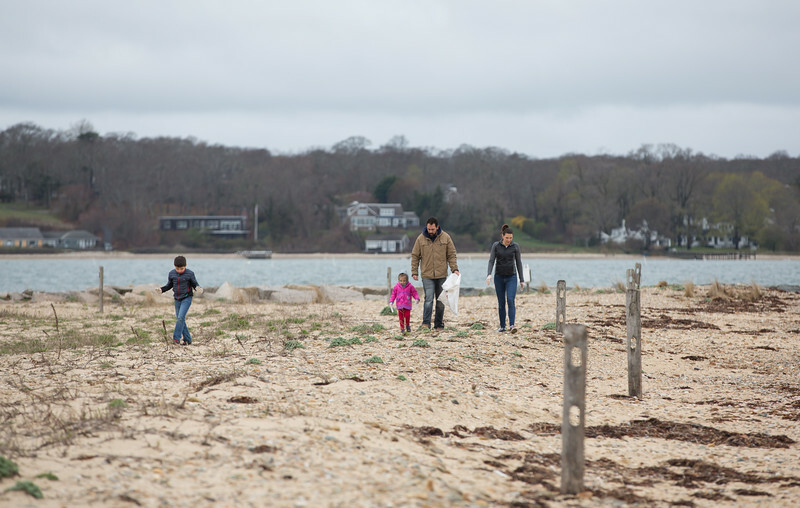 Wade and Christina Simmons, along with their baby daughter Avery, poked through rows of dried seaweed on the beach as ferries docked at the Vineyard Haven terminal nearby. Their dog Reggie tagged along, helping inspect the debris. “So many cigarette butts,” Mrs. Simmons said. Catherine Keller and Freddy Rundlet were at work closer to the park. “The biggest thing we’re picking up are nips,” Mr. Rundlet said, noting that they seem to outnumber even cigarette butts. “We should ban them totally,” he said. Just across Vineyard Haven Harbor, more people gathered on Eastville Beach, where Bill Narkiewicz of MVY Radio broadcast live from the parking lot using a cell phone. A loyal contingent from the Martha’s Vineyard Savings Bank had piled up their spoils — including three gas tanks — in front of a wooden sign, where they posed for a photograph. He noted a shift in public awareness over his 16 years taking part in the beach cleanups. “When we first started this, we were finding bicycles, refrigerators, TVs, things of that nature,” he said. He credited the beach cleanups themselves, along with no-littering signs along Beach Road, as having raised awareness. “It all helps,” he said. Up the road at the Lagoon Pond landing, Doug Reece and Lani Goldthorpe of the Lagoon Pond Association, along with VCS member John Best, piled up 26 bags of trash and various debris from along Beach Road and parts of the Lagoon Pond shoreline. Interestingly, Mr. Reece reported finding only three nip bottles in that area. At Squibnocket Beach in Chilmark, Jay Walsh and others collected a large amount of fishing gear and reams of erosion-control fabric that had been used to reinforce a stone revetment. “We had half a truckload of that alone,” he said. He said most of the debris at Squibnocket originates from the sea, where commercial fishing boats ply the Atlantic. “There is an occasional beer bottle in the parking lot, but for the most part it’s all washed up,” he said. At an after-party sponsored by the Harbor View Hotel, VCS executive director Brendan O’Neill said a special word for Maitland Edey, a boat builder, jazz musician and former VCS board president who had overseen the cleanups at Lambert’s Cove Beach for many years. Mr. Edey died last December at the age of 81. In honor of the 25th anniversary there were two guest speakers who described efforts to reduce plastics in the ocean. The event also celebrated a ban on single-use plastic bags in checkout lines that VCS drafted beginning in 2015. All six Island towns have adopted the ban, including Oak Bluffs at its annual town meeting this year. Mr. O’Neill said the group may take aim at nip bottles as well, although he said the details were unclear. 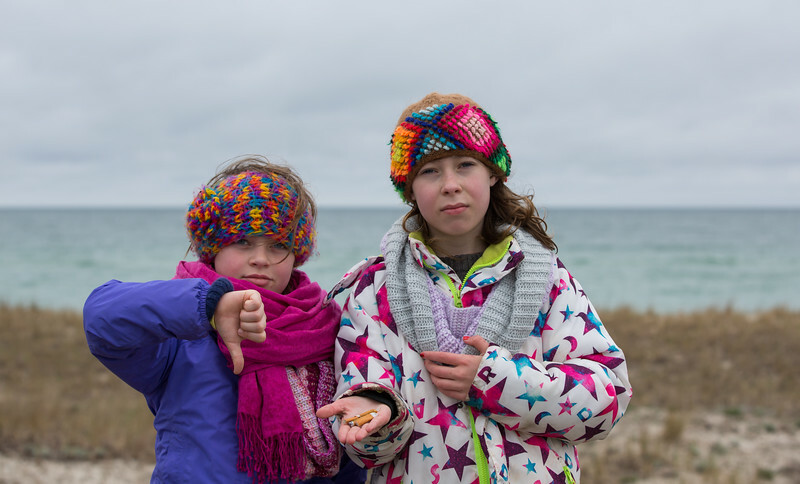 Emma Frisbie, a second-grader at Ashaway Elementary School in Hopkinton, R.I., helped kick things off at the party by sharing an essay she had written about how to reduce litter on beaches in Rhode Island. Guest speakers Athena Aicher and Tyson Bottenus shared some of their research into plastic pollution in the North Atlantic, including an expedition in which they helped collect about 64,000 pieces of plastic in an area between Bermuda and the mid-Atlantic ridge. Mr. Bottenus is sustainability director at Sailors for the Sea, an advocacy group that aims to reduce the amount of pollution originating from regattas and other ocean activities. Although currents collect plastic into central locations, he said the idea of a single floating plastic island is a misconception. He said soup was a better analogy, with plastic being found even at depths of 15 metres. Ms. Aicher, a former researcher with the Sea Education Association of Woods Hole, said while more and more plastic is being used, researchers are not encountering more of it in the oceans, creating something of a mystery. She noted that waves and ultraviolet radiation break plastic down into smaller pieces, and that animals who eat plastic carry it to the bottom when they die. She said single-cell organisms have been seen presumably feeding on plastic as a carbon source. Despite the often disheartening statistics surrounding plastics in the ocean, Mr. Bottenus encouraged people to stay involved in issues related to policy, advocacy and research. “This is a problem that we can fix by 2050 if we really start thinking about this,” he said, praising communities like Martha’s Vineyard and Newport, R.I., for banning plastic bags and taking other steps to reduce plastics in the ocean. “Cities, counties and even countries are catching on to what’s going on and how they can make a big change,” he said. More photos of the Earth Day clean-up. Make nip bottles illegal - NY does not have this litter problem. If you happen to be in a liquor store around noon you will see some of the buyers of them. These people then are a danger driving on our roads. It really is time to do something about Nip Bottles! I must have picked up over 300 of them on a short stretch of Beach Road in OB from the end of the seawall towards the Little Bridge. A deposit on the bottles might help,say 25 cents,at least there would be incentive to pick them up! Maybe though a few people getting arrested for drinking and driving and littering might be effective. Seems like the same people throw out the same brands at the same spots. Shouldn't be too hard to catch them! Thanks again to VCS for a great Earth Day Event for our Island! !